The bodies of flight instructor Iliesa Tawalo and trainee pilot Merelesita Lutu who were on board the Cessna 172 training aircraft, which crashed on Monday have been found by the joint search and rescue team yesterday. 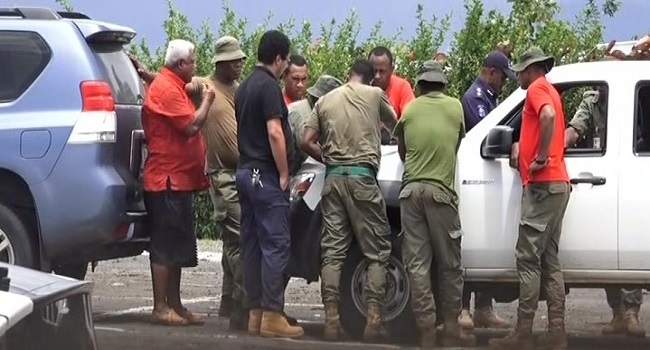 The joint search team consisting of officers from the Police Force and the military reached the site of the plane crash and made the discovery of the two victims. Acting Deputy Commissioner of Police, Rusiate Tudravu says the news of the discovery has been relayed to the victim’s families as the focus shifts to the investigation into the circumstances leading up to the tragic incident. Tudravu says the Director CID is overseeing the first phase of investigations and forensics while the Police Force pathologist has been deployed to the site. He says efforts currently being coordinated through the search and rescue command centre will now focus on securing the crash site for the arrival of the appointed New Zealand-based Air Accident Investigator. The Government has engaged New Zealand-based Andrew McGregor as the independent investigator to determine the cause of the crash of Training Cessna 172 aircraft. Acting Prime Minister Aiyaz Sayed-Khaiyum confirms McGregor will arrive in the country today and will be taken to the crash site immediately to begin the investigation. Sayed-Khaiyum says McGregor will report on his findings regularly to the Department of Civil Aviation. The Acting Prime Minister says people must understand it will take some time to determine exactly what happened. McGregor has been engaged in the past by the New Zealand Transport Accident Investigation Commission to assist with several air accident investigations. Meanwhile, the wreckage of the training aircraft, was found in the Deilaikoro Mountains in Labasa around mid-day yesterday. The aircraft lost communication with the Airports Fiji Tower at 12.30pm on Monday. On board the flight was Tawalo and Lutu as well as Kalara Derederenalagi. Derederenalagi was dropped off in Labasa before Tawalo and Lutu continued on their way to Savusavu to land. However, due to the bad weather, they were unable to land in Savusavu and were returning to Labasa when it was reported they lost communication with the control tower. Meanwhile, the Pacific Flying School says they are unable to speculate on the cause of the accident however, a full investigation will be carried out and details will be released at the appropriate time. The school says recovery operations have commenced and will continue this morning. A delegation from the school is expected to visit family members of the two pilots who were on board the aircraft, to convey their deepest sympathies and offer support.